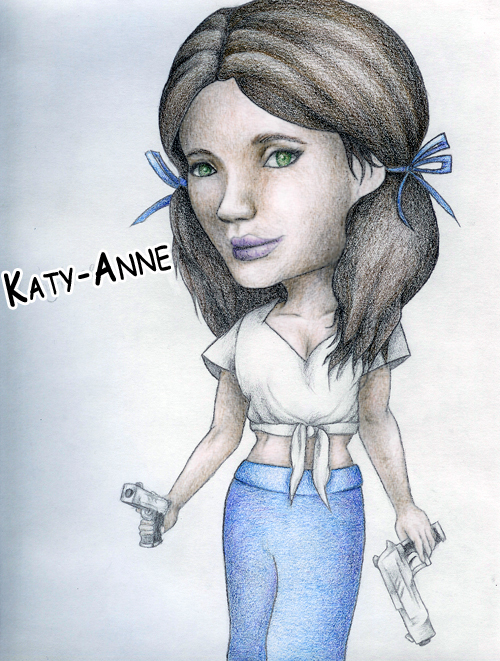 This is a caricature of Kate dressed up as her Gilligan's Island counterpart, Mary-Anne. My brother says she looks a lot like Final Fantasy's Yuna, and I can't help but agree with him... Though it was entirely coincidental. Done in prismacolours and pencils.